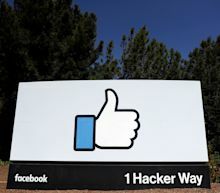 UBS upgraded Facebook to buy and raising its price target to $240 dollars after the company reported its first-quarter earnings. Yahoo Finance's Jen Rogers, Myles Udland and Andy Serwer discuss. Facebook shares surge after crushing earnings in the first quarter. Yahoo Finance's Adam Shapiro, Julie Hyman and Dan Howley discuss. It has been just over a year since Facebook's improper data sharing with political consultancy Cambridge Analytica launched probes on both sides of the Atlantic. In the meantime, they said advertisers will still be drawn by its massive user base. Microsoft and Facebook topped Wall Street expectations, while Tesla reported a big miss on 2019 Q1 earnings. Yahoo Finance's Brian Sozzi and Emily McCormick break it down.